VoIP, or (Voice over Internet Protocol) is the technology standard that enables telephone services to be transmitted over the internet. Cloud based telephony solution providing redundancy, performance and mobility to its customers. Ability to provide mission critical phone service over multiple carriers to ensure up time and removing that anchor to a physical location or internet service provider. 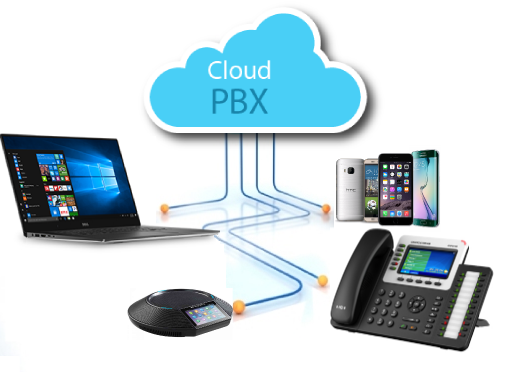 Hosted PBX VoIP has come a very long way since first being introduced. Hosted VoIP allows your business to minimize downtime to a whole different level. Basically, as long as there is an internet connection, your phone system and extensions will still be available no matter what time of day, and where you are in the world. Call us today to see how VoIP can improve your business! How Can Hosted VoIP Improve My Business? Hosted VoIP can be used in a number of ways! If you crave the ability to be flexible and able to be available 24/7, then VoIP is right for you. Take your business to the next level and expand beyond “business hours” and show your customers that you are here to stay! ADS Technology can take your organization to the next level, including but not limited to; IT Support and Management, IT Consulting and Deployment, Cloud Solutions, and more! VoIP is inevitable, so you need to be careful when choosing a provider. Countless providers have failed in recent years so you need to make sure you make the right choice. ADS Technology has the experience with these new age phone systems to ensure your complete satisfaction. Over time, we have seen the advantages and disadvantages of internet-based telephone systems, and while these have been great advances in technology, we really need to understand and learn your business and discover you true needs, as opposed to selling a solution which may not in fact, work for you business. VoIP setup, integration and support takes more than the skills of the average phone vendor. In order to integrate correctly with your business you must choose products that will fit your business needs and take all your applications into consideration. Hosted VoIP can strengthen your company through unification but can destroy your company in outages. ADS Technology deploys and support Cloud VoIP systems that increase your technology reach, lower your telecom costs and give you piece of mind.